Hi - so happy to find that you have a blog, and so amazed that I can just write you a note and that you might actually read it. 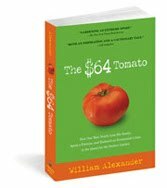 I just finished The $64 Tomato - loved it, and am hunkering down for a foot of snow in Philadelphia tonight with your Leek Potato Soup recipe. Neither leeks nor potatoes came from my garden, but I'm giving it a go. Bread making...that's really an endeavor. I'll be putting your new book on my list! Thanks for all the great stories. 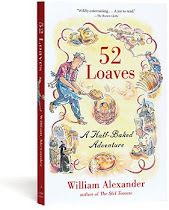 So much fun reading 52 Loaves. And the blog. So happy to know that I am not the only one obsessed about bread!